Verizon's page about the update has now gone live. 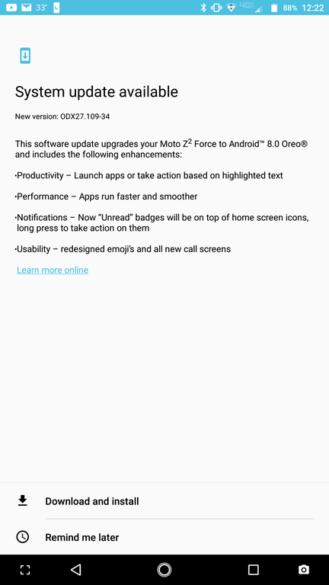 It confirms that the Oreo update also includes the December 1 security patch level. 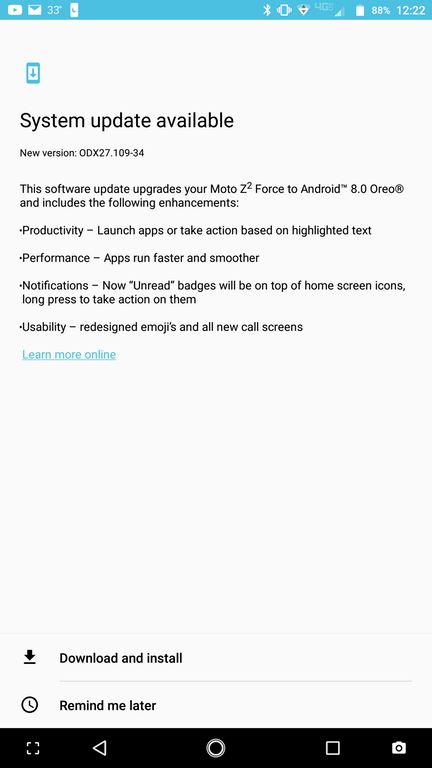 One user on Reddit, named motoxcolors, posted a screenshot of the update screen on his Z2 Force (pictured above). A few others have chimed in with confirmations. 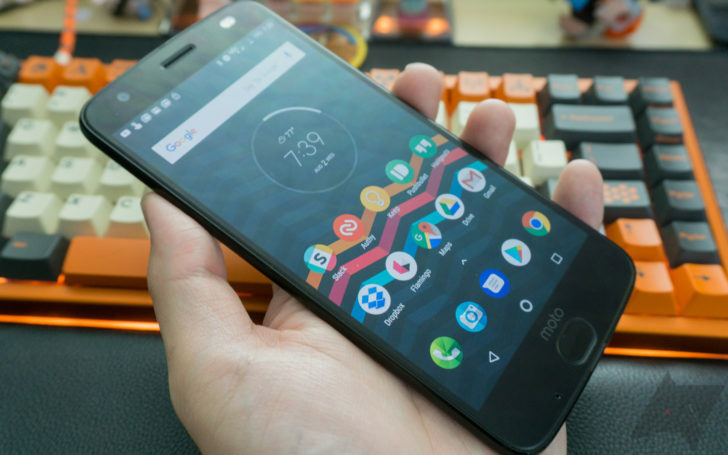 Motorola doesn't make many changes to Android, so this is still the mostly-stock experience that Moto users have come to expect. There's no ETA for when other variants of the Z2 Force will receive Oreo, but I would guess sometime in the next month or two.